...which is why I'm sittingi n the Portuguese sun preparing to play with The Journeymen tonight as a prelude to heading north to Germany and setting off walking next Wednesday. 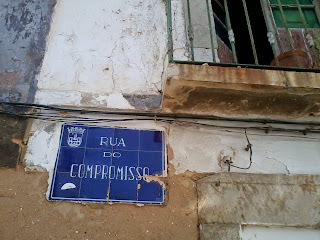 Maybe it's just me, but seems in life there's often a crossroads with the option of going down Compromise Street. My winter walk from Munich to Paris may have started early this morning. At dawn I let myself out of a house and walked across fields and along the misty, muddy banks of the Thames to catch a bus from a small Oxfordshire village. There were mutterings and half-hearted chirps and the odd cheery whistling from birds. Black shadowy crows. The huge dark cross shape of an early flying kite. I was carrying everything I'll carry the 500 miles from Munich to Paris, and another equally heavy bag I'll be leaving in London. Together they were exactly twice as heavy as was comfortable to walk with. Now I'm on another bus to London, and all going well will be in Portugal this evening. Going to Germany from England via the Algarve and Andalusia has it's own logic.. I'll be playing harp (that's muso slang for the harmonica, I add, to avoid giving any impression of amusical ability, or even an angelic nature, that I don't possess) with power-country-soul band The Journeymen. 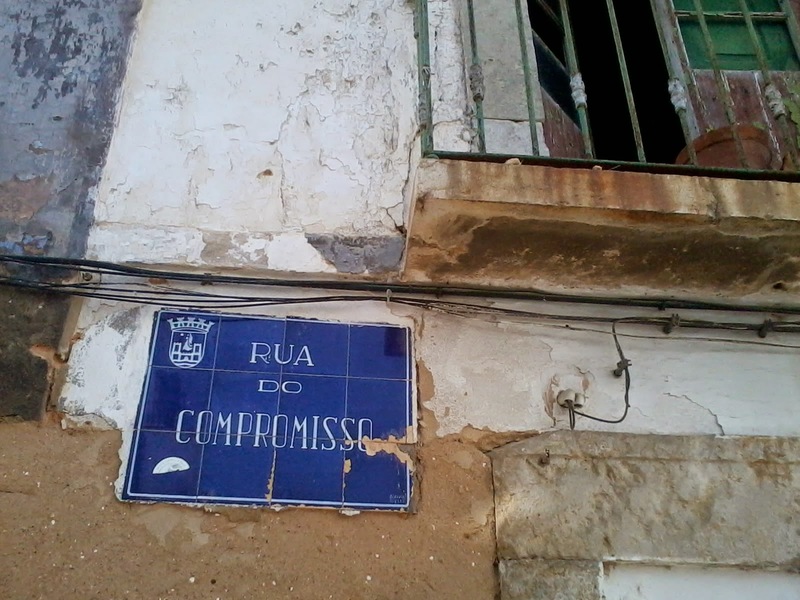 They've also got famed cobblers in Portugal and my boots need new soles; certainly country soles, and very possibly power soles for the forthcoming ramble. I'll be in Munich next wednesday, 5th November, starting the walk. 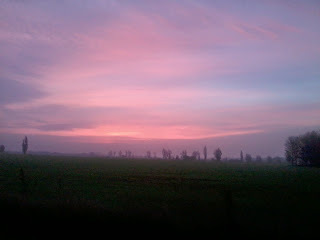 But it may have already started with this morning's sunrise and my first steps across the autumn fields.